Stepping into the autumnal colour palettes, this look combines deep mustard shades with luxuriously rich plums. Breaking up the colour with bare legs, socks and stilettos prove to be the perfect transitional pairing. 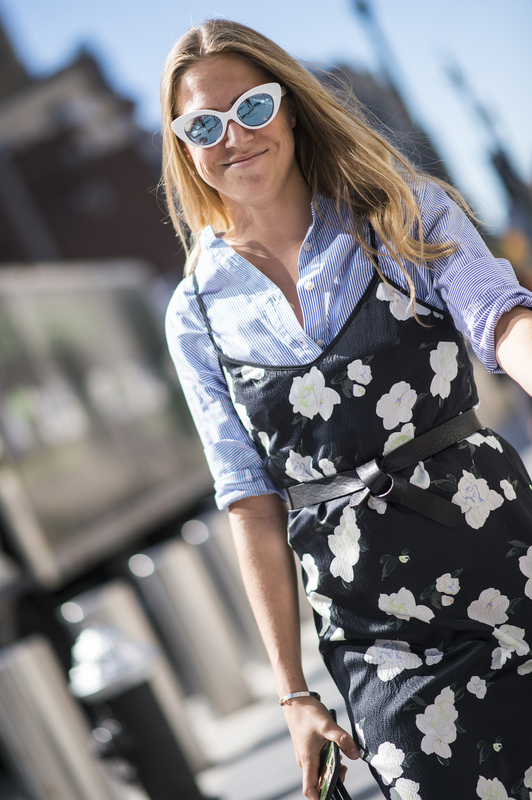 A soft cotton blue shirt and black and white floral dress are paired to create the perfect smart-casual look. Completed with thick white sunglasses and matching white pumps. 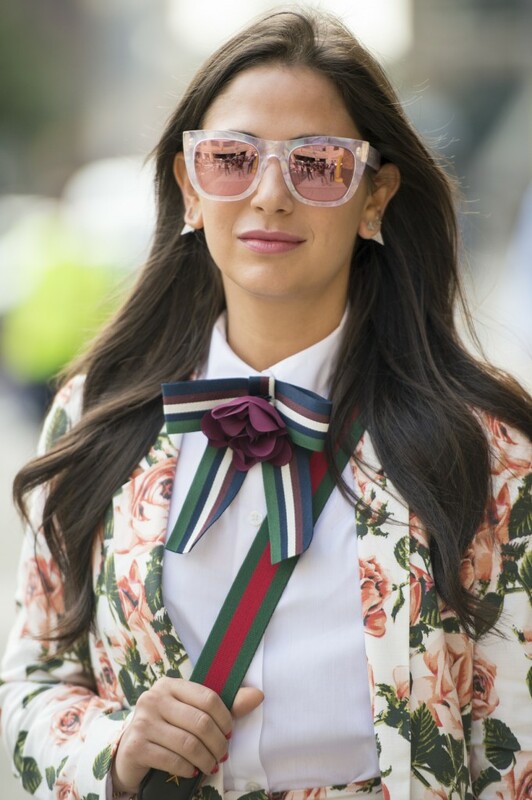 Rocking Gucci from head to toe, this floral suit is made even quirkier through the striped bow and Princetown fur loafers. Matching the suit’s hue through rose tinted glasses, the look is finished off with the iconic Dionysus leather handbag.